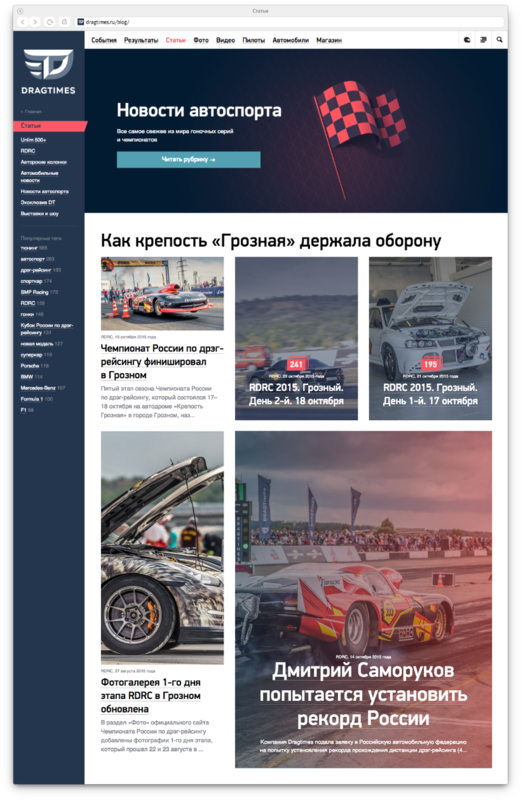 to create the best media about motorsports. 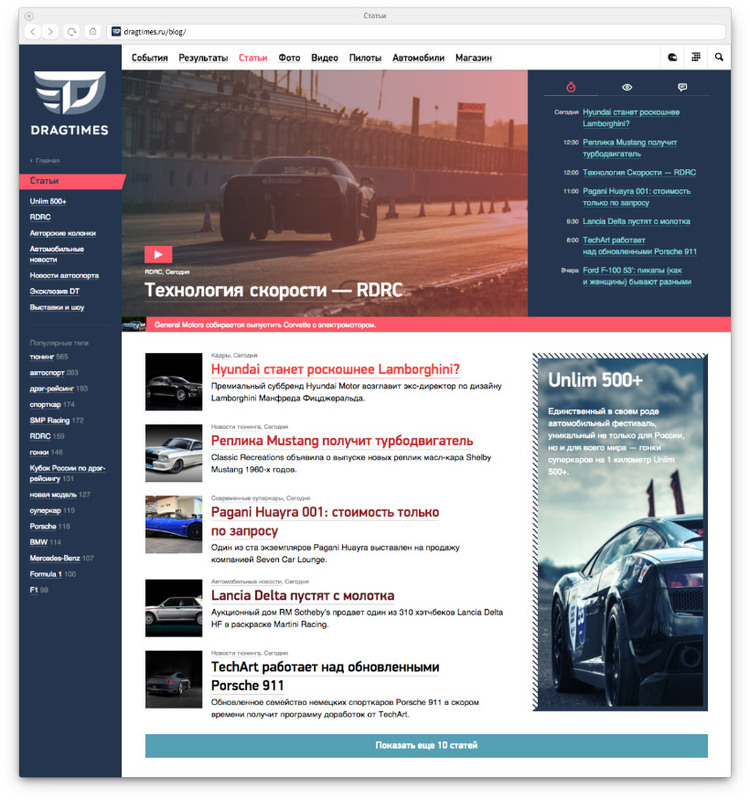 The company’s website developed at the studio contains car-related news and articles, photo and video galleries, a catalog of race cars, driver ratings, announcements of upcoming events and results of past races. 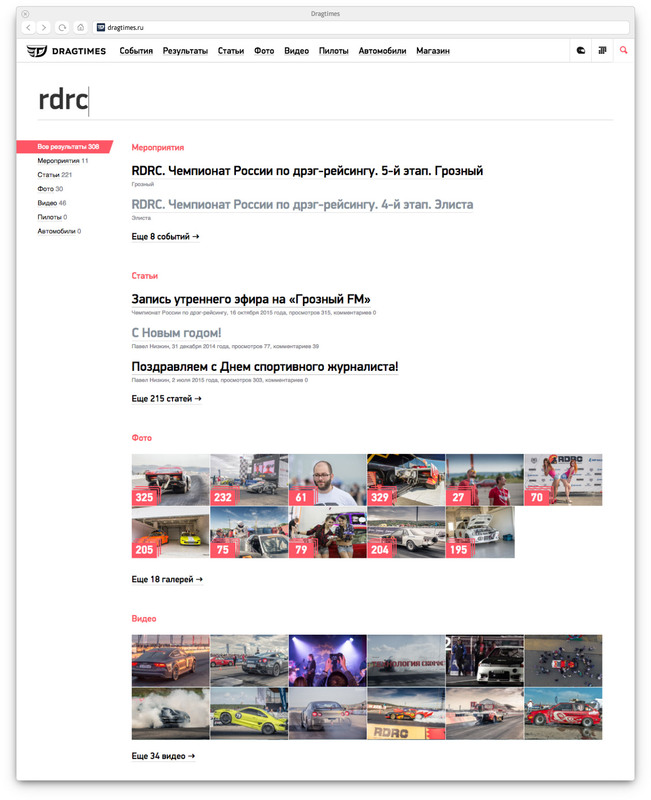 The main page contains overview of new content in main categories. 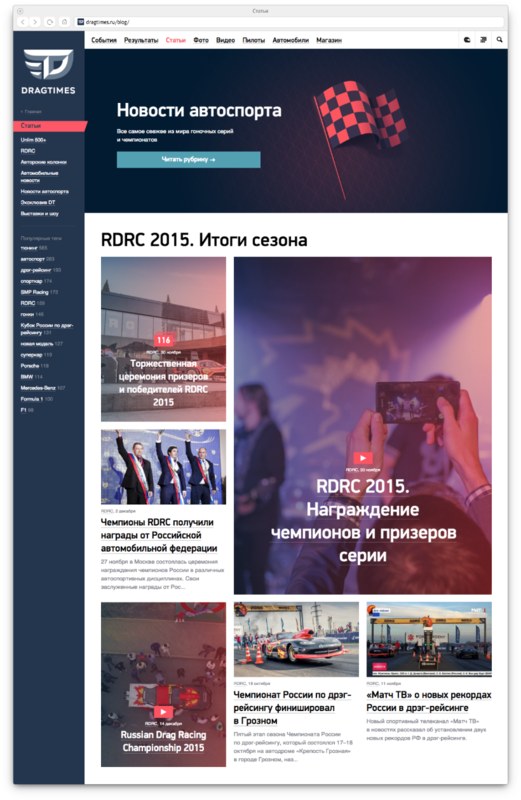 During major events, the website becomes the main source of current information. 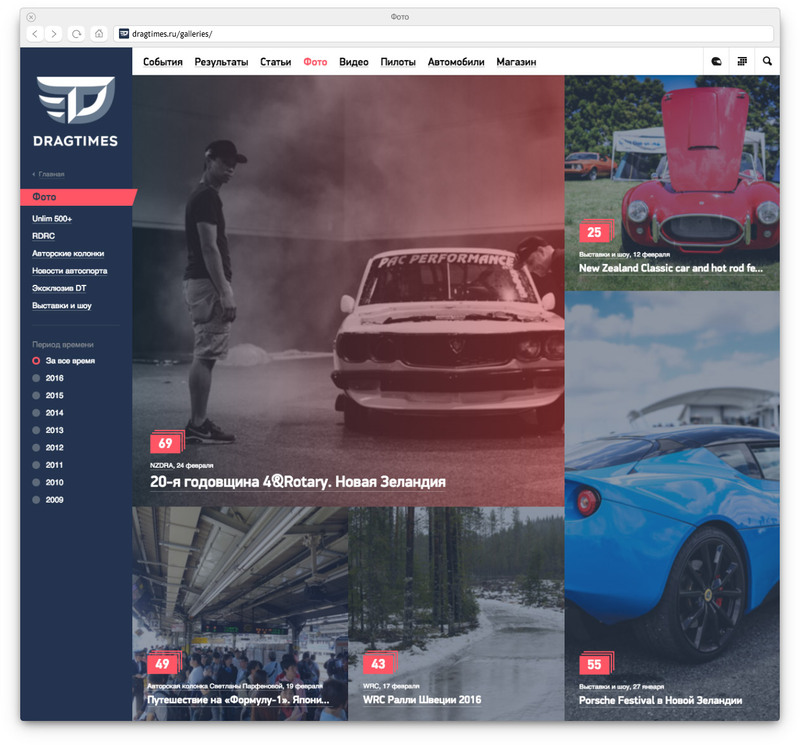 Page templates allow website editors to make emphasis depending on the intensity and character of published media. The Articles section contains materials grouped by categories, tags, authors, publication date, popularity and number of comments. Full-sized photos, quotes, comments, teasers of related content featured on article pages make reading more exciting. Several types of tables are used to display event results: record times achieved at main distances, results of a single race with sorting by pairs as well as tournament brackets which allow to easily trace the winner’s path to victory. Photos from recent events are gathered in galleries. 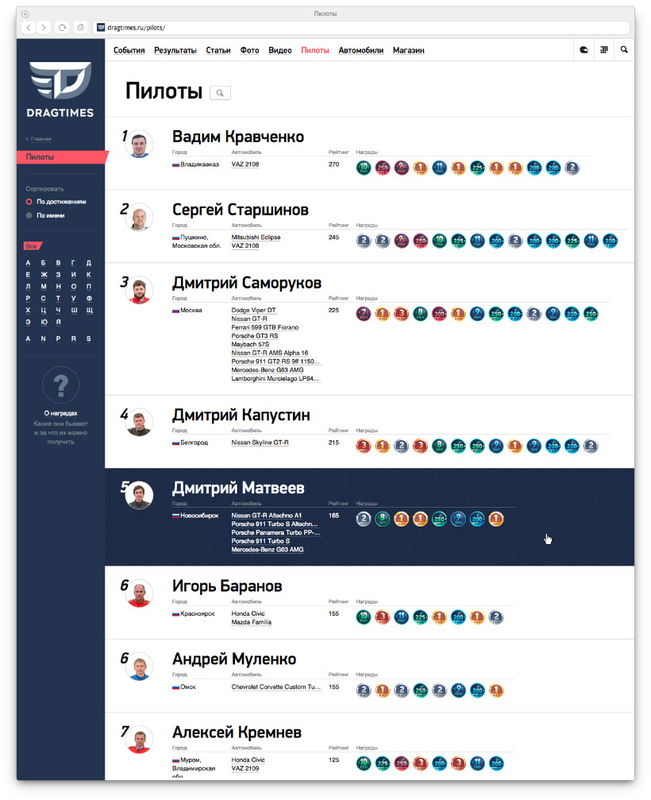 The website features a convenient search system. 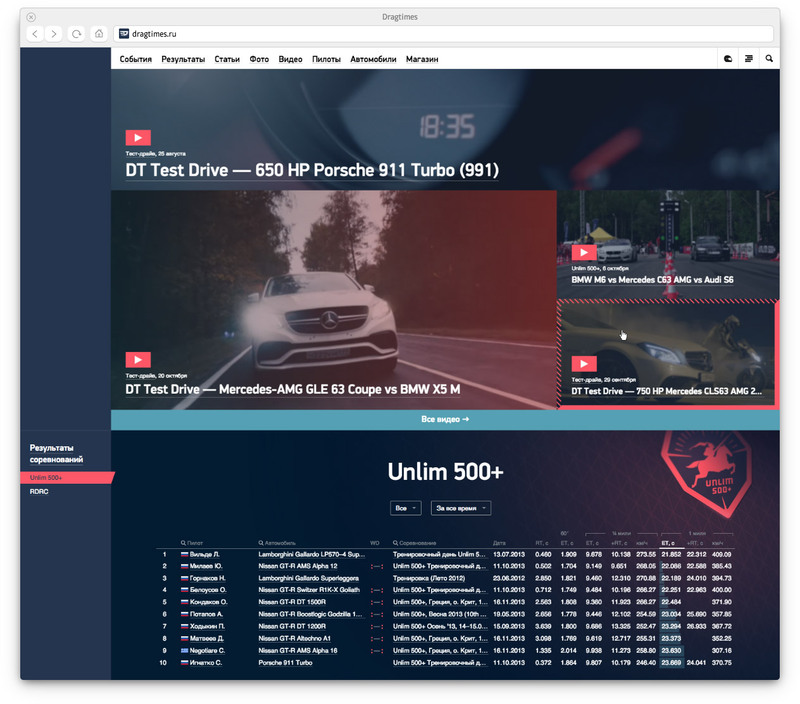 The Drivers section contains information about all competitors and their ratings. Drivers’ cars are presented in a separate list. 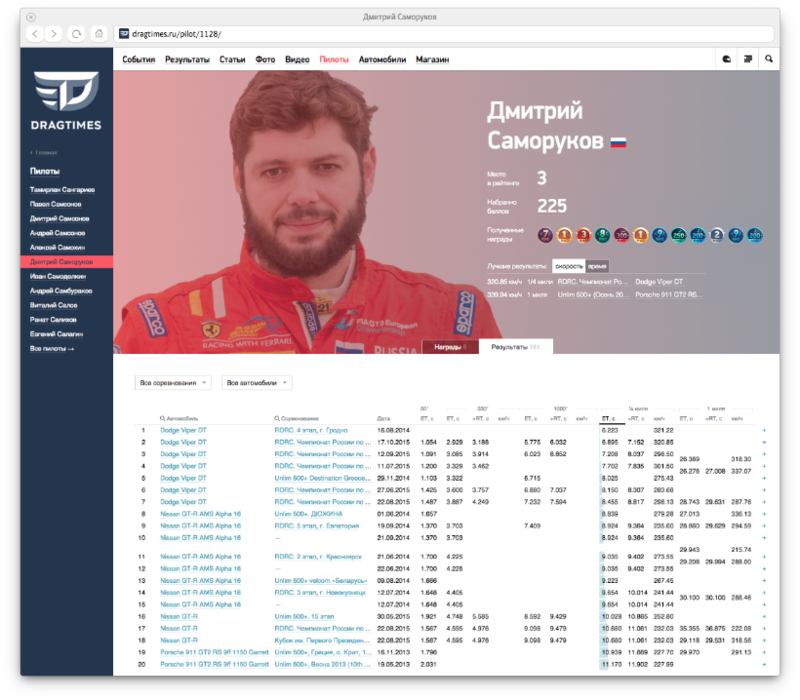 The website’s online store sells branded sports equipment, memorabilia and even parts of real race cars.